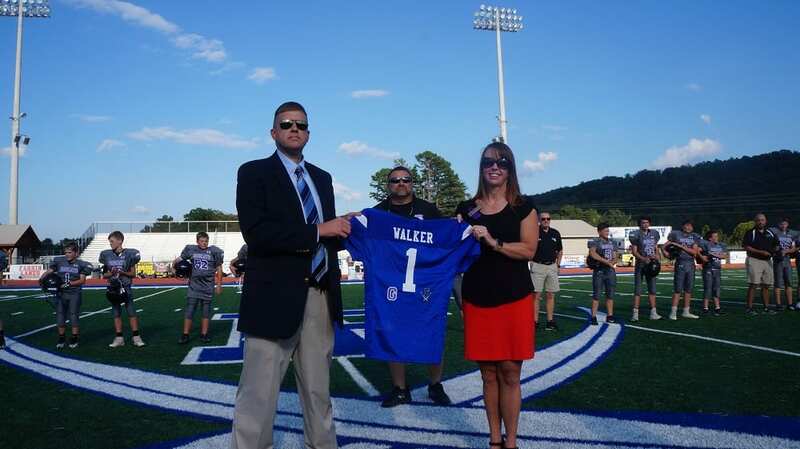 BLUE RIDGE, Ga. – It may seem like a small gesture to some, but for those in Gilmer County, Georgia, a simple jersey is relating a lot more than meets the eye as they receive a memorial jersey to honor Gilmer’s middle school principal, the late Larry Walker. 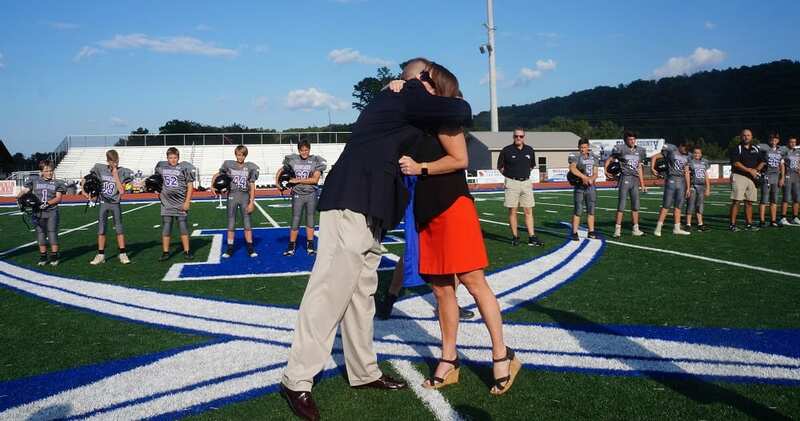 With a special moment before the middle school football games between these two schools on September 19, Fannin County School Superintendent Dr. Michael Gwatney took to the field with Gilmer County School Superintendent Dr. Shanna Downs and Appalachian Judicial Circuit District Attorney Alison Sosebee for a special ceremony in order to present the jersey hosting the emblems of both Gilmer and Fannin. 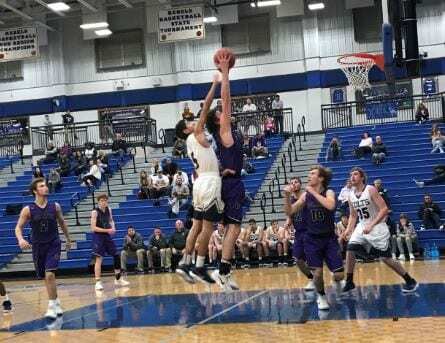 This past Saturday at the Mountaintop Holiday Classic, the Gilmer Bobcats and Christian Heritage traveled to Fannin County High School for the championship game. Both teams were ready to walk away with the first place trophy. While Christian Heritage had the outside shots, Gilmer had the speed to drive the lane. Bobcat, Carter Hice, led Gilmer in scoring with seventeen points. Christian Koneman led Christian Heritage in scoring with twenty-two points overall. Bobcat, Tripp Pierce, had the hustle to drive through the defense and contribute four points for Gilmer. Christian Heritage had the lead at the end of the first quarter with a score of 28-15 over the Bobcats. Gilmer scored a lot of their points from down low thanks to their unstoppable post, Kell Weaver, who contributed fourteen points for the Bobcats. Tyler Sims scrappy playing added four points to Gilmer’s score. Braden Jenkins drew fouls and put three more points on the board for the Bobcats. Christian Heritage kept their lead at the end of the second quarter with a score of 55-24. Christian Heritage started to look up the court for open teammates when Gilmer’s outside shooting came alive. Bobcat, Coady Cobb, scored all nine of his points from three pointers. Out of Bobcat David Smith’s eight points, six of them were from shots above the key. As the end of the third quarter neared, Christian Heritage had a 71-42 lead over the Bobcats. 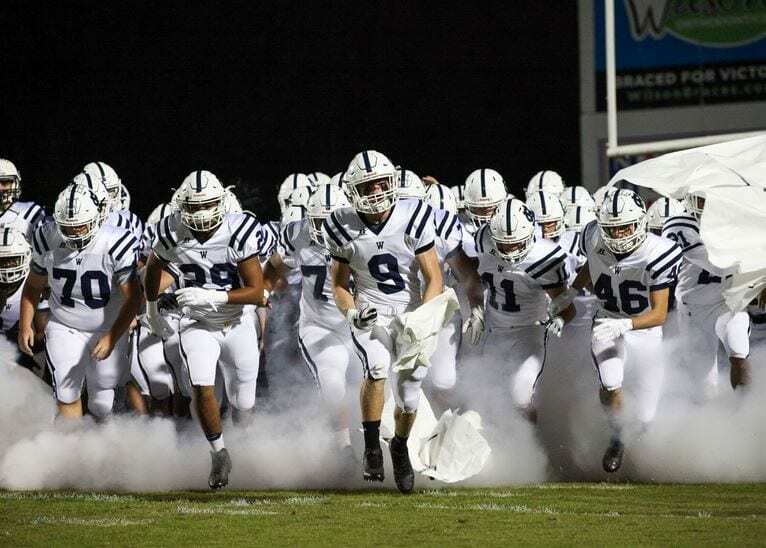 As the Bobcat’s scored got farther and farther behind Christian Heritage, their intensity lessened. With no hope of catching up, many of the Bobcats gave up. Although the Bobcats were getting beat, Tyler Sims refused to give up. Sims gave every second of the game his all and tried his best to pick up his team. Despite the Bobcats hustle, Christian Heritage closed out the tournament with a 77-59 championship win. Before Christian Heritage got to claim their first place trophy, All Tournament medals were to be given out. Bobcats Kell Weaver, Carter Hice, and Tyler Sims were selected as Gilmer’s All Tournament Players. 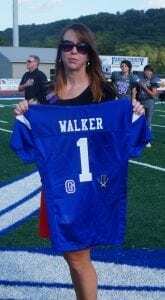 Gilmer’s loss puts their overall record at 5-9 while Christian Heritage stands undefeated at 12-0. Catch the Bobcats next game on January 5 at 8:30 as they travel to take on Northwest Whitfield! 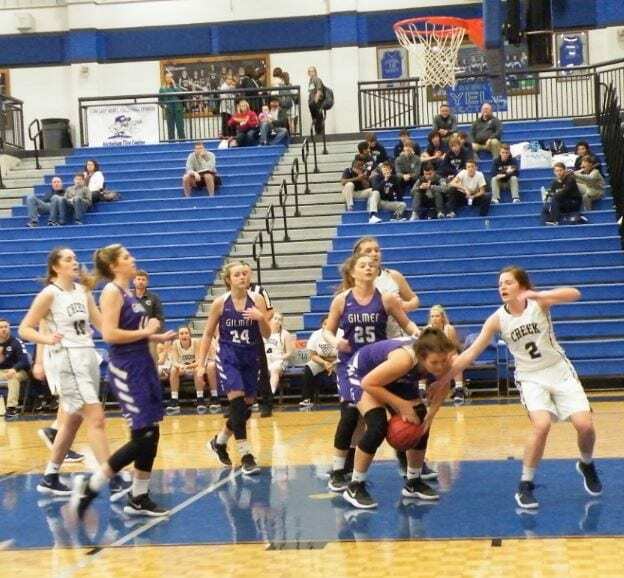 The Lady Bobcats traveled to Fannin County High School this past Thursday where they were matched up to take on the Lady Colts for day one of the Mountaintop Holiday Classic. 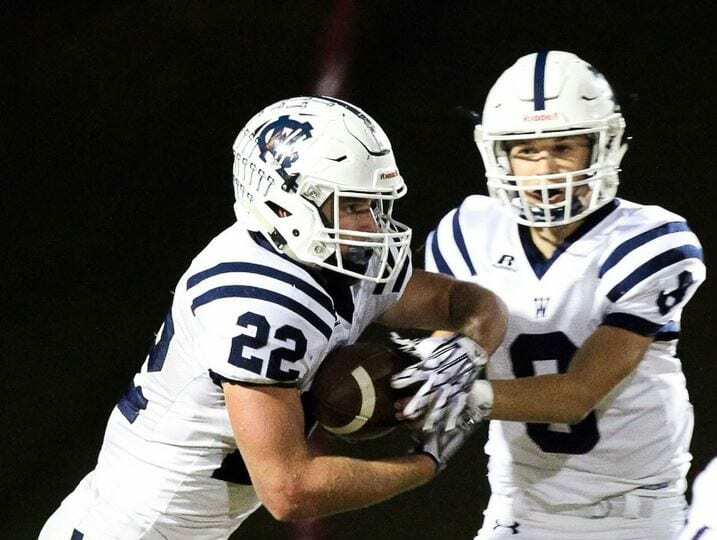 The Colts were striving to continue their winning streak of two games prior to the matchup at Fannin County while the Bobcats were determined to knock them off their high horse and redeem themselves from a seven point loss to Union just a few nights before. 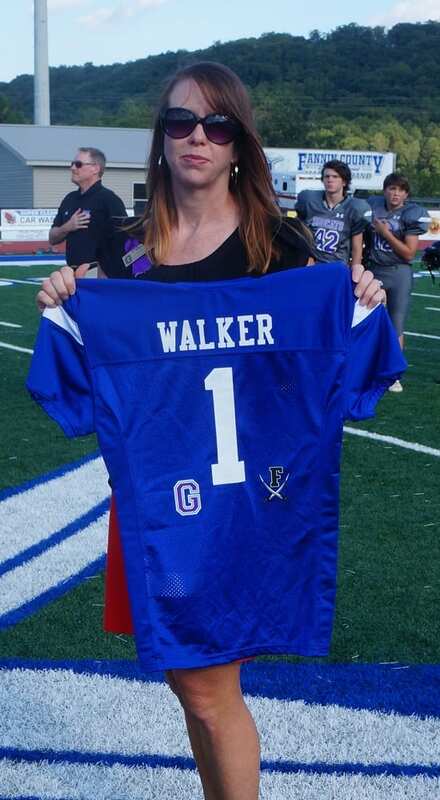 The Lady Colts did not waste any time. 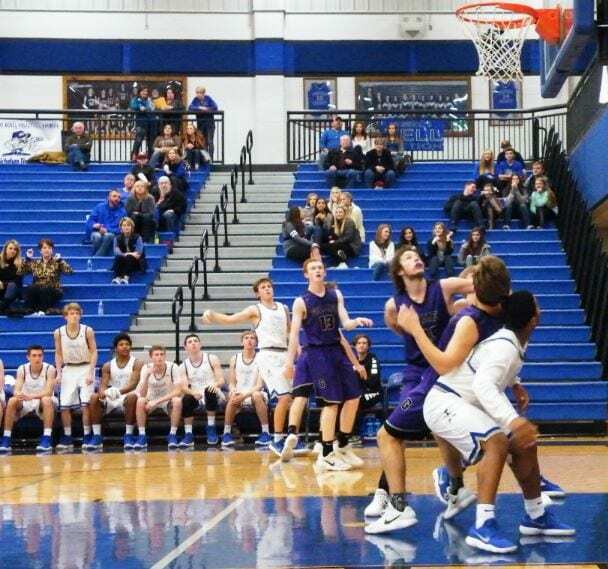 The first chance they got on defense, they went into a full court press. Despite the Lady Colts high pressure defense, the Lady Bobcats broke the press with no trouble. Gilmer had amazing looks up the court and found many opportunities for wide open shots. Bobcat, Emma Callihan, broke through the full court press and led her team in scoring by putting twenty-three points on the board. Lady Colt, Lily Snyder, led Coahulla Creek in scoring with twenty points overall. 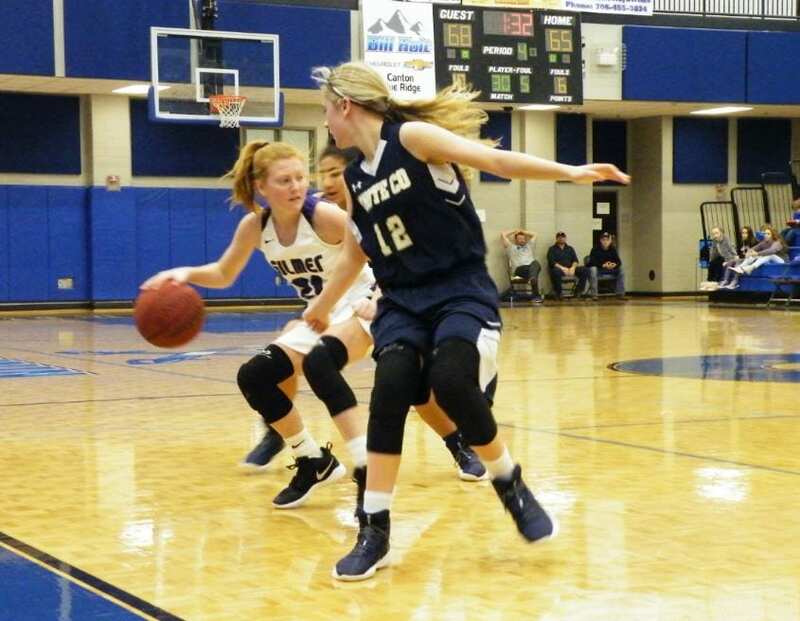 Number ten for the Bobcats, Marylee Callihan, was right behind her teammate in scoring with nineteen points thanks to her ankle-breaking moves under the basket. The Lady Bobcats had a three point lead over the Lady Colts at the end of the first quarter with a score of 16-13. With the Lady Colts behind, they decided to try what was working for the Lady Bobcats. Coahulla Creek started looking up the court for open passes where they added onto their score. Bobcat, Faith Ralston, starting driving the lane and contributed two points for Gilmer. The Bobcats defense came alive towards the end of the quarter which resulted in Mallory Kiser getting steals and putting seventeen points on the board. Lady Colt, Mallory Poe, makes a three point buzzer beater shot at the end of the second quarter. 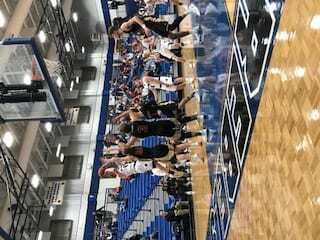 Poe’s shot made the score 35-29 with Gilmer still in the lead. Since the Lady Bobcats tried to keep their lead just as hard as the Lady Colts tried to take it away from them, both teams started fouling. Bobcat, MichaMichaela Staley, drew fouls and made one of her shots which contributed one point for Gilmer. Another Lady Bobcat, Hope Colweu, contributed two points for her team from foul shots due to her grit down low. As the third quarter came to an end, the Lady Bobcats kept their lead over the Lady Colts with a score of 54-42. As the fourth quarter began, the Lady Colts found what was missing in their defense. Coahulla Creek’s intensity came alive by making steals left and right. With the Colts making adjustments, the Bobcats had to do the same if they wanted to keep their lead. Gilmer started to have good looks and passes on the inside where they extended their lead. The ball would be on the Lady Colts side of the court one second, then on the Lady Bobcats the other. Despite the Colts burst of energy at the end, they could not gallop to victory. 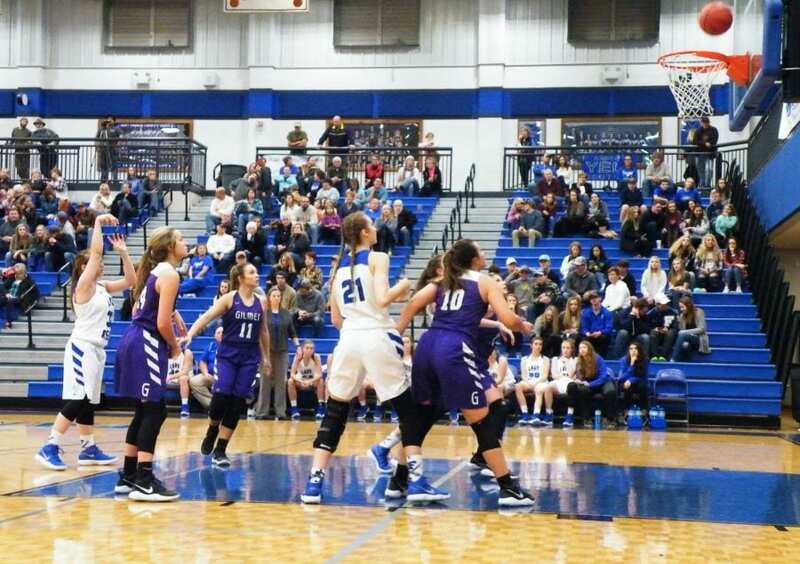 The Gilmer Lady Bobcats won the game with a score of 77-67 over the Coahulla Creek Lady Colts. The Lady Bobcats win puts their overall record at 7-5 with the Lady Colts standing at 5-6. Catch the Gilmer Lady Bobcats next region game on January 5 at 7:00 as they travel to take on Northwest Whitfield!